The village is an integrated student, sporting and commercial development. 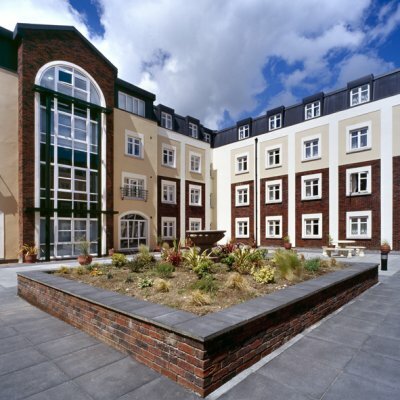 The main section of the works was the construction of 182 student apartments. The majority of these apartments were 4 bedroom units with a smaller number of 6 bedroom units. Initial site works involved large quantities of rock breakout / extensive retaining walls to site boundaries. The structure consisted of both steel and concrete frame, with a combination of finishes to external walls; brick, render, zinc, aluminium curtain walling, cedar cladding, etc. Roof finishes comprised of both trocal and zinc finishes.